St. Joseph Christian’s website received a new look for 2019. The site that was last updated in 2014 still had pictures and code from it’s first major upgrade in the mid aughts. As support for major changes to the site grew, so did the sentiment that simply updating a few pictures would not be enough. After considering various commercial options for the upgrade, school officials ultimately opted to handle the project in-house. St. Joseph Christian Media Specialist Steve Juhl was excited to be awarded the “contract” and began drawing up plans for the new site in June of 2018. Acting on the advice of local web developers, the decision was made to create a new site from scratch. Most private educational institutions either pay for updates to be handled by third parties, or ask a current employee to maintain the site as time allows. To avoid the bottleneck that inevitably comes from having a full-time staff member make regular updates, the new SJCS design attempts to spread responsibility for updates amongst 7 individuals. Each individual oversees a department containing information adjacent to his or her own job description. To avoid confusion regarding who is overseeing which department, the name and picture of each department head may be found at the top of every page within that editor’s department. Another feature of the new site is a dynamic homepage that includes quick links, a video banner, monthly news articles, and a photo gallery designed to take the newcomer through a day at SJCS. Perhaps the most noticeable difference to experienced St. Joseph Christian web surfers is the lack of menu bars at the top of the homepage. Important links that used to populate these copious menus may be found at the bottom of the page within the footer menu. 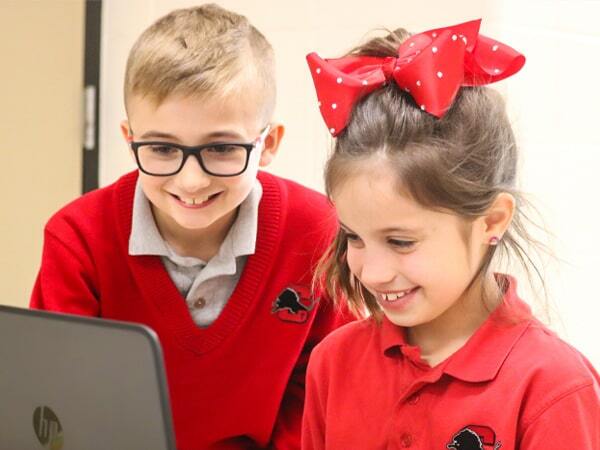 St. Joseph Christian School officials hope that the new site will simplify site surfing, increase site ascetics, decrease site errors, improve site performance, and generally prove to be a modern, inviting site to visit. Five Lions to CotillionEnrollment Season is Here!